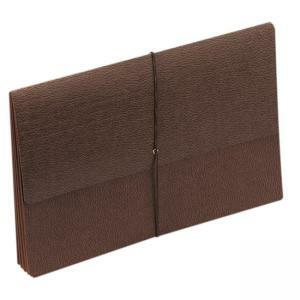 Sheet Size: 10" x 15"
Distinctive leatherlike material makes this expanding wallet an eye-catching case for presentation materials. Includes protective flaps, elastic cords and tearproof Tyvek reinforced gussets. The 5-1/4" expansion wallet has a full height RedRope gusset, rollover reinforced with Tyvek at top. Contains 30 percent post-consumer material. SFI Certified.